Amidst the vast array of Premier League managerial departures this season, Tony Pulis’ exit from Stoke has occurred somewhat quietly in comparison to others. But his replacement at the Britannia Stadium has raised many an eyebrow, as Mark Hughes takes up his first position at the helm of a club since his ill-fated 10-month QPR tenure. As such, Ladbrokes are offering punters the opportunity to bet on how the Welshman fares at the Potteries, where he has received a somewhat frosty reception from a number of Stoke supporters. Whilst concerns exist in light of Hughes’ most recent managerial foray however, his tenures at previous clubs suggest that he can be trusted to continue Pulis’ sterling work. In the past five years in which Stoke have been a Premier League club, they have finished in positions ranging from 11th to 14th 100 per cent of the time. 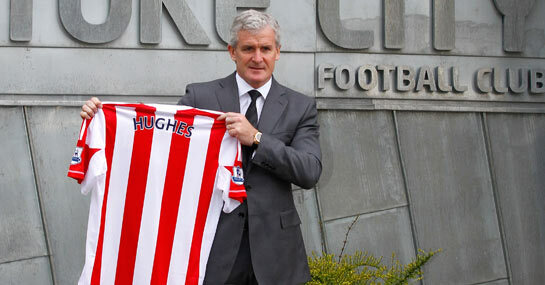 It is 9/1 that Hughes wins round the Potters faithful by achieving a 10th place finish, which would be the club’s best in the top flight in its current format. But it could be wiser to back City to simply continue in the same vein as they did under Pulis, with hefty prices available regarding repetition of each of their recent final league standings. Pulis twice led Stoke to 13th-place finishes in the past five seasons, indicating that the 8/1 about that outcome may be more investment-worthy than the same price that the Potters finish 12th. Meanwhile, it is 17/2 that Hughes oversees a run to 11th place, which would surely be deemed a success, whilst a 14th-place finish at the same price would be negatively received. As it is difficult to see the hard-to-beat Potters truly surging up the table though, and similarly tough to envisage them embroiled in a real relegation battle, backing each of the above outcomes looks the best way to turn profit next term.